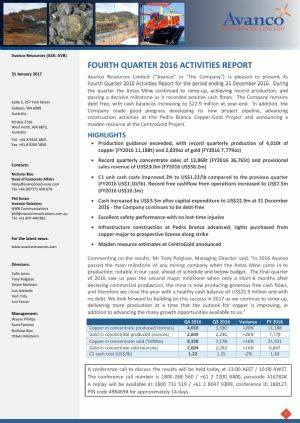 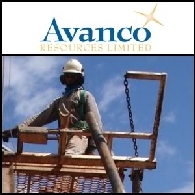 Avanco Resources Limited (ASX:AVB) is pleased to present its Fourth Quarter 2016 Activities Report for the period ending 31 December 2016. 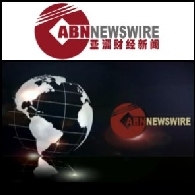 With a halt on the excitement of the Chinese Shanghai and Shenzhen stock exchange, the potential for Chinese companies listing on the Australian Securities Exchange seems attractive to both Chinese companies and Chinese investors alike. 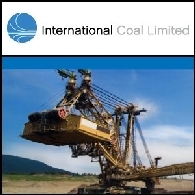 Asian Activities Report for October 17, 2011 includes: International Coal Limited (ASX:ICX) has expanded the drilling programme at its wholly owned South Blackall Project in Queensland; Avanco Resources Limited (ASX:AVB) reported excellent results from the Rio Verde Copper Project in Brazil; Cardia Bioplastics Limited (ASX:CNN) has received BioNexus Status in Malaysia; Mantle Mining Corporation Limited (ASX:MNM) has completed the first 4 holes of a 15 hole drill program at the Company&apos;s 100% owned Bacchus Marsh coal project in Victoria; Vocus Communications (ASX:VOC), a Seven Group Holdings (ASX:SVW) company, has secured a multi-year deal to provide IP Transit and Data Centre services to leading 4G wireless provider vividwireless. 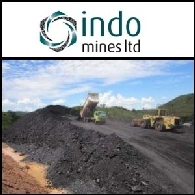 Asian Activities Report for May 20, 2011 includes: Indo Mines Limited (ASX:IDO) updated on recent operations at the Mangkok Coal Project in Indonesia; Avanco Resources Limited (ASX:AVB) reported new copper discovery at the Serra Verde Project; ERO Mining Limited (ASX:ERO) has commenced an initial sonic drilling program at its Wertaloona Lithium Project in South Australia; Kentor Gold Limited (ASX:KGL) said today that the development of Andash Copper-Gold Project in the Kyrgyz Republic remained the Company&apos;s key focus. 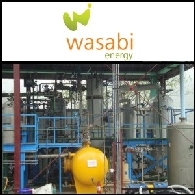 Asian Activities Report for April 15, 2011 includes: Wasabi Energy Limited (ASX:WAS) has commenced the construction of Kalina Cycle(R) Laboratory and Testing Facility in Shanghai; Aurora Minerals Limited (ASX:ARM) has commenced copper and manganese drilling in Western Australia; Shaw River Resources Limited (ASX:SRR) is to raise A$25m to progress development of manganese assets in Namibia, Australia and Ghana; Avanco Resources Limited (ASX:AVB) advised that Vale SA (NYSE:VALE) has commenced drilling at Trindade North Iron Ore Project in Brazil. 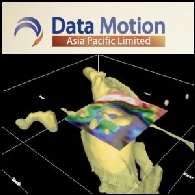 Asian Activities Report for April 14, 2011 includes: DataMotion Asia Pacific Limited (ASX:DMN) has completed a 3D gravity survey on M12 rare earth elements target and is planning drilling in April 2011; MobileActive Limited&apos;s (ASX:MBA) RingRing Studios mobile applications surpass 1,000,000 downloads worldwide; UXA Resources Limited (ASX:UXA) intersected a 3-metre zone of visual mineralisation at the Dome 5 zinc-lead-silver prospect in NSW; Avanco Resources Limited (ASX:AVB) reported that drilling at Serra Verde Copper Project in Brazil continues to show great promise. 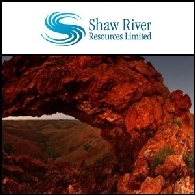 Australian Market Report of March 21, 2011 includes: Shaw River Resources Limited (ASX:SRR) announced a maiden Inferred Resource of 6.8Mt at its 75.5% owned Otjozondu Manganese Project in Namibia; West African Resources Limited (ASX:WAF) reported a significant gold mineralised zone in Burkina Faso; Avanco Resources Limited (ASX:AVB) has acquired additional tenements and further expanded the Rio Verde Copper Project in Brazil; Panax Geothermal Limited (ASX:PAX) announced a new agreement to commence exploration in Indonesia. 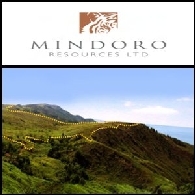 Australian Market Report of January 13, 2011 includes: Mindoro (ASX:MDO) announce significant nickel intersections and nickel acquisition in the Philippines; Spitfire Resources Limited (ASX:SPI) identified new manganese discovery in Western Australia; Avanco Resources Limited (ASX:AVB) has obtained permissions for drilling at the Trindade North Iron Ore Project in Brazil; Neon Energy Limited (ASX:NEN) reported early success of North San Ardo Cyclic Steaming Project in California. 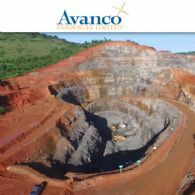 Australian Market Report of October 12, 2010 includes: Avanco Resources Limited (ASX:AVB) has received more spectacular copper results from its Rio Verde Project in Brazil; Mindax Limited (ASX:MDX) announced 260% increase in PBM Mineral Resource at the Mt Forrest Project in WA; Montezuma Mining Company Limited (ASX:MZM) has received very encouraging beneficiation test results at the Butcherbird manganese project in WA; Avonlea Minerals Limited (ASX:AVZ) announced better than anticipated Fe results in Namibia. 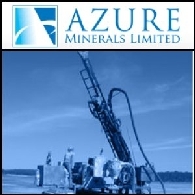 Australian Market Report of September 30, 2010 includes; Azure Minerals Limited (ASX:AZS) has commenced an extensive exploration program in Mexico; Intrepid Mines Limited (ASX:IAU) (TSX:IAU) reported an initial Inferred Resource of 500 million tonnes at 0.4% copper and 0.5 g/t gold in Indonesia; White Cliff Nickel Limited (ASX:WCN) has identified additional zones of copper rich mineralisation; Avanco Resources Limited (ASX:AVB) has received an initial US$100,000 payment from Vale S.A. (NYSE:VALE) in relation to Trindade North acquisition.